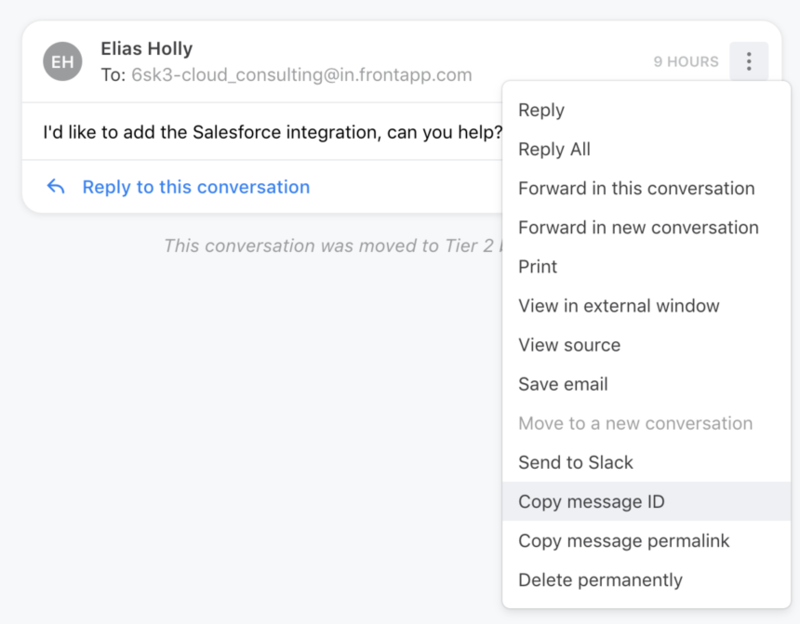 When working with the Support Team at Front, you may be asked for a few common pieces of information to help our team find answers for you faster. Send this information to us in our in-app chat or email us at support@frontapp.com! Your Support Agent may request the name of the inbox or channel you require assistance with. This will help them quickly identify any problems caused by permissions, or issues with the channel itself. When reporting issues that are specific to one Teammate, let us know the name or login email address for that Teammate. If you're experiencing unexpected behavior or receiving error messages, sharing screenshots or screencasts of the issue in action is very helpful! It can help clearly describe the issue you are experiencing to your Support Agent, and often help them quickly identify the cause of the issue.